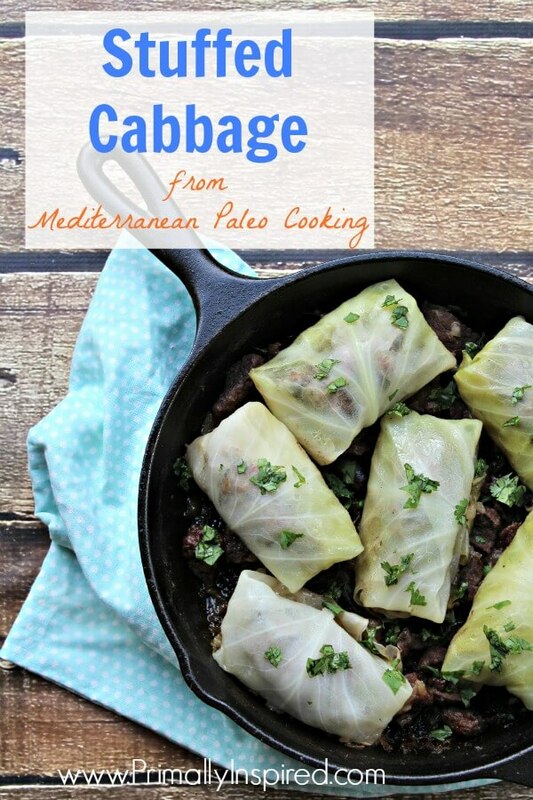 Annnnnnd, she’s also letting me share a recipe from the cookbook – Stuffed Cabbage. I have a feeling that you are going to fall in love with this cookbook just like I have. First of all, it’s absolutely gorgeous. I just love the photography, the beautiful layout with all those little mediterranean details and the flavorful, but easy recipes. Swoon. Two 30-day meal plans. One for general health and one for the autoimmune protocol. Now here’s the recipe for the Stuffed Cabbage shared with permission from the authors. 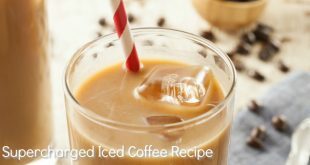 The flavors are so unique and I have a good feeling that you are going to enjoy this recipe as much as we did. Boil 3 cups of water in a steamer pot over medium heat. Steam the cabbage leaves for 3 to 5 minutes, until soft, and set them aside. In a large saute pan, melt the fat over medium heat. Add the stew meat to the pan and brown on all sides, about 5 minutes. Add the onion, cinnamon sticks, and a pinch of salt and pepper and cook another 3 minutes, or until the onion is translucent. Cover the mixture with the beef broth and bring to a boil with the lid on. Remove the lid and simmer for 30 minutes. While the stew meat is cooking, mix the stuffing ingredients together in a large bowl. Place ¼ cup of the stuffing mixture in the middle of steamed cabbage leaf. Roll the leaf halfway, then tuck in the sides and finish rolling. Place the rolled leaf aside on a plate, seam side down. Repeat until all the stuffing is used up. 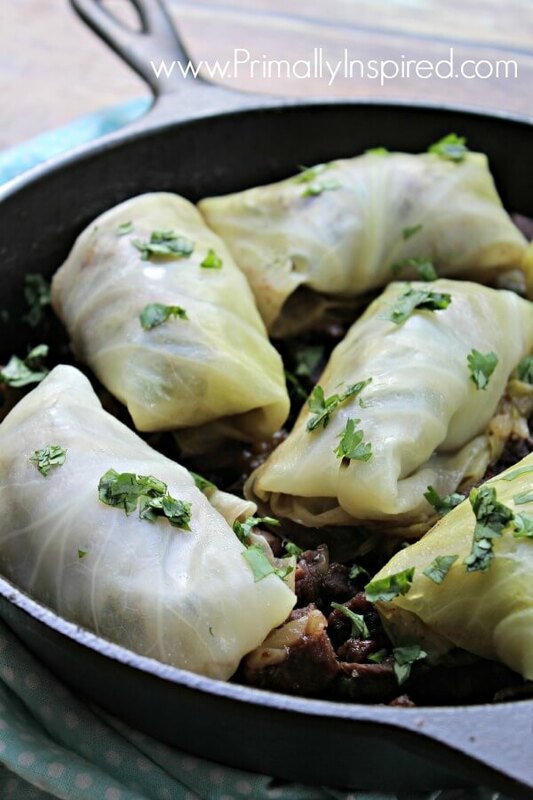 Using tongs, carefully add the stuffed cabbage leaves to the sauté pan. Cover and simmer the cabbage rolls for 15 to 20 minutes. Remove the cinnamon sticks and top the dish with fresh cilantro to serve. To make this dish autoimmune paleo, use 1 teaspoon ground ginger in place of the cumin. I would love to win this book. I’ve heard Diane Sanfilipo talk about it on her Balanced Bites podcast. I enjoy cooking, and a new cookbook can be very inspiring. 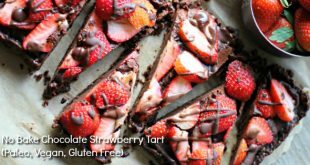 Thanks for all of your great recipes and other tips…your blog is one of my faves! This book looks great! I’d love to own a copy so I can cook up some new delicious meals. Having this cookbook will assist me with the lifestyle changes I must make due to health issues. I need to start on the AIP and hope this cookbook would help! Thanks for the chance! Love Mediterranean food and love eating healthy.! This book looks like a wonderful way to do that, and still be able to tailor my cooking for those with various health issues and nutritional needs at the same time! Would love to win this book! It looks like a beautiful book. Our family is doing GAPS and I’ve found variety is key to staying on it. 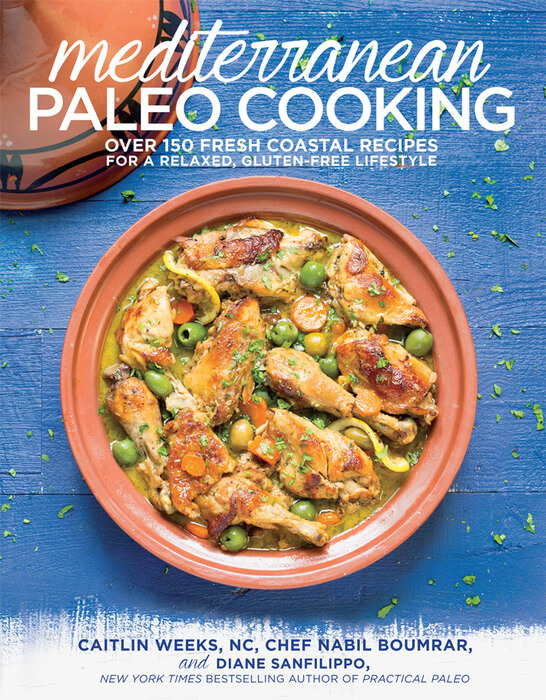 I want to win because it looks like a wonderful cookbook and I need more Paleo recipes. Thanks for the opportunity to win the cookbook! I love food and this would make me very happy and healthy — a win win! Big Fan of Diane Sanfilipo I would love to have this cookbook in my collection. Her recipes are always awesome! Thanks for the chance. I’ve recently had some medical issues come up, which is forcing me to try different foods that might be easier for my body to handle. A little recipe help would be awesome. I need new, simple ideas for dinner…I guess I’m in a rut! I love Dianne’s recipes! I really need quick and healthy recipes to make feeding me and my family easier. I would love to win this book as it is currently on my “to get” list and I love Mediterranian food so much. The pizzas look amazing and after all, who doesn’t like pizza :). Mediterranean food is my Favorite – would love this!!! This is perfect for my new lifestyle. In trying to get my body the nourishment it needs, it’s sometimes hard to come up with new ideas for what to cook! Thanks for this one! 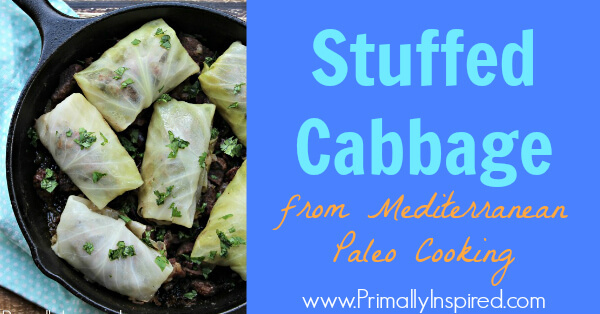 I love stuffed cabbage rolls! I’m having some health issues that force me to eat paleo and clean. I could use a little more help knowing what to make so I can eat more than broccoli and carrots! I need all the help I can get to learn to feed my family healthy meals! I would love to win this cookbook! My cousins took me out last week to eat at a fabulous Greek restaurant and I was just wishing I had a Mediterranean cookbook. A Paleo one would be a great plus to me as an ‘O’ blood type. Would love to win this book. Always looking for more paleo recipes. I really want to win this cookbook! I have MS and I try to eat a clean diet. I have problems thinking up meals to serve, so this cookbook would help me tremendously! 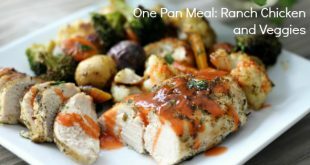 I am always looking did new recipes to keep the husband and kiddo on board with paleo eating! This lifestyle has helped with so many health problems we all had… Need to keep it interesting! I would love to win because following a low-fodmap diet for my severe IBS has been a killer! Do you know how hard it is to find paleo recipes sans broccoli/garlic/cauliflower(hello cauliflower everything! )lol Thanks for the giveaway! OH. Also, my dad has hired me as his meal prep service so I have secretly been feeding him paleo (and he’s actually eating vegetables! gasp!) so any new ways to keep things interesting are always welcomed. I think I should win your cookbook because I am having to try to change my entire way of eating. I cannot have gluten because I am celiac, I have cd eloped an intolerance to milk now. I have lost so much weight because nothing tastes good to me. I weigh 90# and am 5’3″ I am 61 years old so I have no back up for any illness. I also have idiopathic chronic pancreatitis. My duct to my pancreas keeps plugging up so every month or two I have to have a stent put in, they leave it for 6-8 weeks then remove it wait a month check again and we start all over! I also have a 6 year old granddaughter who is gluten intolerant and my daughter in law, her mom has 17 food allergies wheat, corn, soy, citrus, tomato just to name a few so I feel the book might help them also. Eating has become a nightmare for me, I figure if I don’t eat it won’t hurt so why eat. Obviously I have to eat, so that is why I think I should win your book, maybe I’ll be able to find food that doesn’t hurt and tastes good. Thank you? Thanks for the chance to enter. 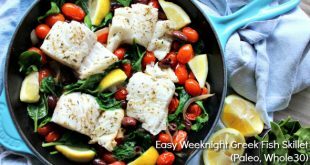 I love Mediterranean style cuisine and would love to know how to fix meals according to my AIP restrictions. 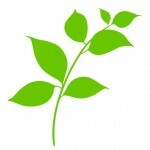 Due to numerous food intolerances, I eat very plainly and would like to start adding more to how I cook. A friend and I just started the Paleo diet to see if it would help with MS symptoms for her and help me to control diabetes, high blood pressure, cholesterol, neuropathy , fibromyalgia and other health issues. I think having the cook book would be very helpful to us both and we could share it. It would be a nice guide to keep us on track. 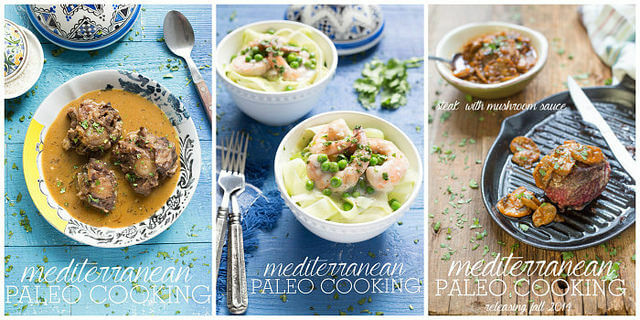 I eat Paleo and Mediterranean is one of my favorite types of food. This cookbook would be awesome! I am a fan of Grass Fed Girl and Diane. This book looks fun and wonderful!! My son has MS and a Paleo diet is a great way to fight MS. Dr. Terry Wahls who also has MS was able to walk again after taking on a Paleo diet. Drugs weren’t able to do that for her. I would love to win you new cookbook! I love to cook, not only for myself but others too and I am always looking for new and interesting and delicious ways of making food that is good, not only for the body, but also the soul. I believe your new cookbook will receive rave reviews and I would be blessed to win! I would like to win your cookbook so that I may continue to inspire, motivate and teach dozens of young, beautiful girls how to cook healthy meals for themselves, first, in hopes that it becomes a lifestyle choice for them and the families they’ll care for. Looks yummy! My grandma always made a really good stuffed cabbage but I’m pretty sure it had rice in it. I’d love to get more paleo recipe ideas. Looks like a great book! This would be awesome to add to my ever growing paleo cookbook collection!! I would like to win her book because I need to go on the Autoimmune Protocol diet this winter (as soon as pepper/tomatoe season is over). I am going to need the help of this book. I would like to win this book – it looks excellent and the author lives in my part of the world! You go, Grass Fed Girl! I am really excited about this book. I started a modified paleo diet in August and have had a lot of success with things I didn’t even expect to have success with. My main reason for doing it is to reduce inflammation in my body and that has been a slow process and I am expecting it to take a while. However, I have really turned around my habits for cooking and eating (I had friends that used to joke I would never eat anything green). I am really enjoying cooking out of the few cookbooks I have that are AIP friendly and have seen a lot of cool stuff come out of this new book from all the bloggers out there. I would love to win a copy! But even if I don’t, I will definitely be buying one!